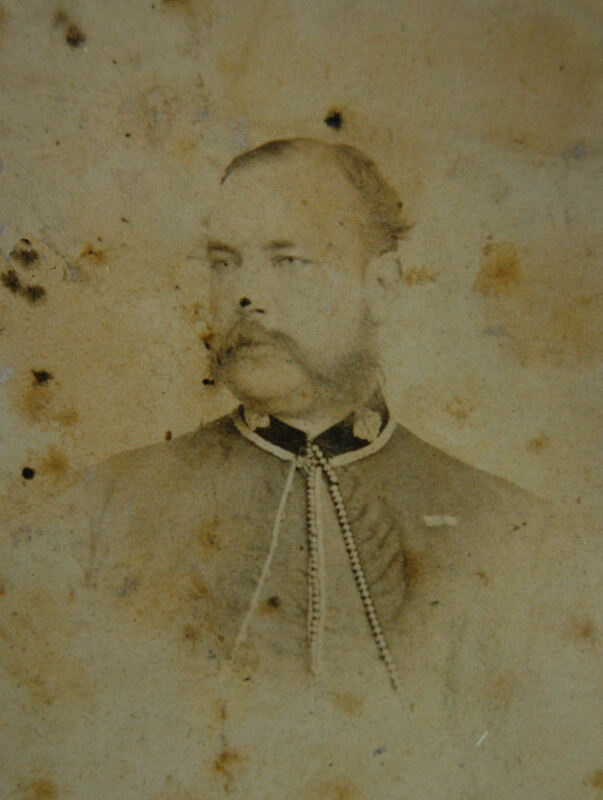 Assistant Surgeon St John Stanley served in the Eastern Campaign of 1854 – 1855. He was at the Battles of Alma, Inkerman and the siege and fall of Sebastopol. He received the Crimea Medal with three clasps and the Turkish Medal. He published On the ventilation of the new Hut Barracks at Gravesend, AMD Report Vol 3 (1861). 24 Feb 1854 Assistant Surgeon 33rd (The Duke of Wellington's) Regiment of Foot. 24 Nov 1854 Appointed Assistant Surgeon 17th Light Dragoons vice Assistant Surgeon Henry Kendall promoted Surgeon 4th Light Dragoons. The vacancy created in 33rd Foot was filled by Acting Assistant Surgeon John Vernon Seddall. Malta 11 Mar 1854 Arrived from Ireland. Stationed at Floriana. 10 Apr 1854 Left for Turkey and the Crimea on board the transport Himalaya. Malta 1856 On duty at Malta. 19 June 1857 Assistant Surgeon 3rd Dragoon Guards. 24 May 1861 Staff Assistant Surgeon. 4 Mar 1862 Relegated to half-pay. 21 Apr 1863 Recalled to full-pay as Assistant Surgeon 3rd Dragoon Guards. 11 Aug 1863 Promoted from 3rd Dragoon Guards. 1864 – 1867 On duty in Bombay. 5 Aug 1864 Appointed Staff Surgeon. 22 June 1867 Surgeon 1st/4th (The King's Own Royal) Regiment of Foot. 4 Mar 1868 Appointed Staff Surgeon vice Charles Dodgson Madden who moved to 4th Foot. 1868 – 1869 On duty at Pembroke Dock. 14 July 1869 Surgeon 1st/25th Regiment of Foot. Served as medical officer 1st/25th Foot until October 1873, when he moved to 25th Brigade Depôt Brecon. 12 Apr 1875 Promoted Surgeon Major. Jan 1877 To Ceylon from 25th Brigade Brecon. 1877 – 1880 In Ceylon. Feb 1880 Moved to Dover from Ceylon. 23 Mar 1881 Brigade Surgeon. Mar 1881 Moved to the Cape. 21 Feb 1882 Retired with the honorary rank of Deputy Surgeon General. On retirement was appointed to Wrexham as medical officer in charge, up to 1887. 4 May 1894 Died in Wrexham. Drew R., 1968. Entry No: 5189. Medical Officers in the British Army 1660 – 1960. Volume I: 1660 – 1898. London: Wellcome Historical Medical Library.